Together with Gaynor Cooper, the past KLQ UK National Treasurer, on the 2nd December 2015, Jacky was responsible for obtaining Charity Status for KLQ UK. 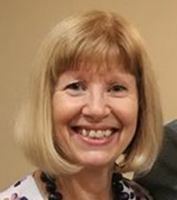 Although she also continues as National Organiser until a successor is found, her main duties as Chairman are co-ordinating the two Face to Face Board Meetings each year, overseeing the 18 KLQ UK schedule of Heats, seeking Sponsorships and project managing the KLQ UK Annual National Final. Diane taught English and drama in Middle Schools throughout her career, becoming a Headteacher in Newcastle upon Tyne in 1990. Since retiring, she has played an active role in the Kids' Lit Quiz and is joint regional organiser for the North East of England. She now divides her time between reading, singing, visiting the theatre, travelling and voluntary work. 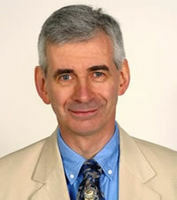 Trevor taught mainly English and drama throughout his career, taking on a Headship in Northumberland in 1993. 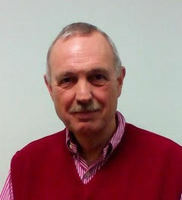 Along with Diane, he is joint North East Coordinator for the KLQ, loves reading and playing the guitar as well as singing, visiting the theatre, travelling and voluntary work. Mike was an Army Officer from 1973 to 2004, followed by a period as the Company Secretary of the Financial Reporting Council. In September 2007, he commenced his present role as Director and Company Secretary of Calibre Audio Library, a national charity providing a service of unabridged audio books for adults and children with sight problems, dyslexia or other disabilities, who cannot read print. He is also a Trustee of two charities, the Talking News Federation and United Kingdom Association for Accessible Formats. In his spare time he sails, surfs, skis and enjoys the countryside. 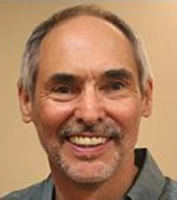 Alec Williams works as a storyteller, trainer, consultant, writer and speaker. An enthusiast for children’s reading, his experience managing library services in the UK have given him an extensive knowledge of children’s books, and the power of stories. Alec has written articles, appeared on radio and TV, lectures to university students, and is a frequent compere at events around the UK. His overseas visits – to well over thirty countries – are at the invitation of the British Council, individual schools, and conferences; they include workshops and training courses for teachers and librarians, keynote speeches, and talks to parents. Alec also tells stories: to all ages, from nursery children to adult audiences. His repertoire includes traditional stories, poetry, and contemporary books, and he has worked in schools, libraries, museums, old people’s homes, shopping centres – and outdoors, in parks! A long-time supporter of Kids' Lit Quiz, he’s keen to see it go from strength to strength. 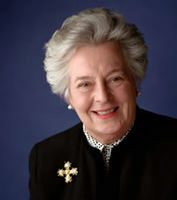 Judith Hanratty’s career has traversed law, education and business. She has been called to the Bar in England (Inner Temple); in the State of Victoria, in Australia; and in New Zealand where she was educated and spent the first twenty years of her adult life. She holds an LLB; LLM (Hons) and Hon LLD from Victoria University of Wellington where she was, for ten years up to 1986, a member of the Council and Treasurer. She is currently Chairman of the Commonwealth Education Trust, a charity created to advance the education of young people in the Commonwealth. It has a given special emphasis to literature in its work and has recently published Give the Ball to the Poet , an anthology of Caribbean poetry, and A River of Stories , a series of four books of stories and poems from each country of the Commonwealth on themes related to the natural environment. A self-confessed bookaholic, she was introduced to reading from an early age and it became a recreation that continued freely and eclectically throughout her childhood. This left her with a life-long love of books and recognition of the real enjoyment that comes from reading for the sheer pleasure of becoming immersed in the story. Living in a country very distant from the rest of the world, she found that books were also an important means of entering new and very different countries and cultures. In addition to her work in education she has been involved throughout her career with the energy and insurance businesses and with the regulation of governance and competition. She is an Honorary Fellow of Lucy Cavendish College, University of Cambridge; a UK member of the Cook Society for UK/Australian Relations; and a Fellow of the Royal Society for the Arts, Manufactures and Commerce. In 2002 she was awarded the OBE for services to the oil and gas industry in the United Kingdom; in 2005 she was made an Honorary Doctor of Laws by Victoria University of Wellington; and in 2007 she was appointed by HM The Queen to be a Commander of the Royal Victorian Order. Her principal recreation is golf, at which she represented New Zealand. 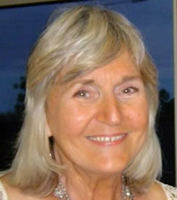 She maintains a home in New Zealand and visits Australia and New Zealand on a regular basis. Who wore a coonskin hat? Do you know the answer? Find out here!